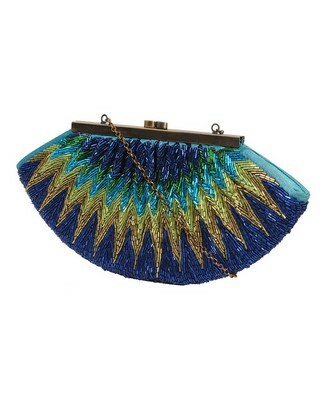 I just found this wonderful Bugle Beaded Clutch on Forever 21’s website. The colours are just so pretty, it reminds me of a Peacock! Great colours and very Art Deco looking. Yes it is, I love art deco!